Alexa J. Hohensee, Administrative Law Judge (ALJ), Office of Administrative Hearings (OAH), heard this matter on May 29, 30, and 31, 2012, in Los Angeles, California. Student’s father (Father) and mother (Mother) (jointly, Parents) represented Student. Father and Mother attended all three days of hearing. Assistant General Counsel Donald A. Erwin, represented the Los Angeles Unified School District (District). District representative and Due Process Coordinator, Diana Massaria, attended the hearing on May 29, May 30 and the second half of May 31, 2012. Special Education Coordinator, Julie Hall-Panameno, attended the first half of the hearing on May 31, 2012. Parents, on behalf of Student, filed the request for due process hearing (complaint) on October 13, 2011. OAH granted the parties’ joint requests to continue the hearing for good cause on October 20, 2011, February 15, 2012 and March 9, 2012. At the end of the hearing, the parties presented oral closing arguments, and the record was closed on May 31, 2012. 1. Student was 12 years old at the time of the hearing, and in the sixth grade for the 2011-2012 school year. Student has lived within the boundaries of the District since January 2009, and is eligible for special education as a child with a specific learning disability (SLD). 2. Student is an English language learner. He speaks Spanish at home with his parents, and English is his primary language at school. 3. From kindergarten through fifth grade, Student attended eight schools in two school districts. Student changed schools mid-year in second grade, in third grade, in fourth grade (three times) and in fifth grade, and missed class time and lesson components when these school and classroom changes occurred. All of these changes, except the one in fifth grade, were initiated by Parents. 4. Pursuant to an IEP dated January 21, 2010, Student began his 2010-2011 fifth grade school year at Ann Elementary School (Ann Elementary) within the District, in a general education classroom, with resource specialist (RSP) services in mathematics for 50 minutes one time per week, RSP services in reading for a total of 50 minutes in one to five sessions per week, RSP services in writing for 50 minutes one time per week, and language and speech (LAS) services for 30 minutes one time per week. At that time, Student was eligible for special education as a student with a speech language impairment (SLI), due to difficulties with expressive language. 1 The issues for hearing in Student’s complaint were verified with Parents at a prehearing conference and have been restated for the purpose of clarity. The IEP is dated June 2, 2011, but was developed over two IEP team meetings convened on June 2, and June 15, 2011. 5. In preparation for Student’s upcoming triennial IEP team meeting, the District prepared, and Parents consented to on October 13, 2010, an assessment plan for evaluations of Student in the areas of health and development, general ability, academic achievement, social/emotional, speech and language skills, and fine and gross motor skills. The plan provided that the various assessments would be performed by designated members of the District’s staff in their areas of expertise. 6. School psychologist Stacy Copeland Weiss prepared a comprehensive triennial Psychological Assessment Report on November 17, 2010. Her report included information from formal testing she conducted on Student, as well as health information gathered by the school nurse, results of academic testing performed by Student’s RSP teacher, and results of LAS testing performed by District speech therapist Lea Varias-Wong. 7. Ms. Copeland Weiss earned a bachelor’s degree in psychology in 1997, and a master’s degree in pupil personnel services in 2000. She holds a credential in pupil personnel services in school psychology, and has worked as a school psychologist with the District for the last 10 years. Her duties as a school psychologist include conducting assessments and attending IEP team meetings, and she has completed between 300 and 500 psychological assessments and has attended as many IEP team meetings. She has assessed elementary school children with specific learning disabilities, autism, mental retardation, and other disabilities. In November 2010, she was knowledgeable concerning Student’s known and suspected disabilities, qualified to perform the assessments conducted, and was able to give special attention to the student’s unique educational needs when conducting the assessment. 8. Ms. Copeland Weiss did a comprehensive review of Student’s educational records, and noted Student’s frequent school changes. She concluded that these school changes, and an overall record of poor attendance, could have a very detrimental effect on achievement. Changes in schools, and even classrooms, may result in missed lessons on core building blocks of the curriculum. She also reviewed Student’s previous assessments, which reported that Student demonstrated low average general abilities, with delayed expressive language skills and average receptive language skills. Her review of previous IEP’s showed that Student’s eligibility category had changed from SLD to SLI, and that Student historically received RSP and/or LAS services. 9. Ms. Copeland Weiss observed Student in his general education classroom, where he read a Batman book during a class lesson, and followed the teacher’s directions inconsistently. She interviewed Parents at her office, and they reported that Student tantrummed, yelled, kicked, hit walls and made inappropriate comments at home, which behavior had not been seen at school. 10. Ms. Copeland Weiss administered the following tests to Student: the Cognitive Assessment System (CAS), the Motor-Free Visual Perception Test – Third Edition (MFVPT), the Test of Auditory Processing Skills – Third Edition (TAPS), the Behavior Assessment System for Children – Second Edition (BASC-II), and the Barkley Disruptive Behavior Rating Scale (Barkley). She chose these test instruments to provide information on Student’s cognitive abilities, cognitive performance and behaviors to determine if Student required special education and related services. Several of these tests used numbers and nonverbal reasoning and included non-verbal subtests. Ms. Copeland Weiss spent over three hours one-on-one with Student during testing, and Student was cooperative, friendly, demonstrated adequate focus and attention, and appeared to give his best effort. Based on the conditions and her administration of the tests, Ms. Copeland Weiss concluded that the results were valid. 11. On the CAS, which tests cognitive ability, Student scored in the average and low average range in planning processes (strategies, control of behavior, self -monitoring), in the low average range for simultaneous processing (relating parts into a group or whole, understanding relationships between pictures and words, spatial relationships), in the average range on attention (ability to attend and concentrate), and in the low average range on the successive scale (ability to work with information in a linear order). On the TAPS, Student scored in the average and low average ability range in multiple auditory skills, but below average in auditory reasoning and auditory processing. Student displayed strength in visual perception (math computation, math reasoning) and basic reading and spelling skills. 12. Academic testing by the RSP teacher and reported to Ms. Copeland Weiss placed Student in the average range for calculation, math fluency, spelling, writing fluency and writing samples, and in the low average range for letter-word identification, reading fluency, story recall and applied problems. Student’s understanding of directions and passage comprehension was below average, and delayed story recall was well below average. On classroom assessment data from the Open Court Reading (OCR) program, Student’s language arts abilities were largely in the below to low average range when compared to his general education classroom peers. Quarterly classroom assessments placed Student in the low average to below average range in mathematics abilities. On 2009-2010 California Standardized Testing, Student scored basic in math and below basic in English language arts (ELA). In the third semester of fourth grade, Student had received achievement grades of proficient and partially proficient. 13. On the BASC-II questionnaire completed by Student’s general education teacher, Student received “at-risk” scores, denoting presence of concern, in adaptability, social skills, leadership (working well under pressure, chosen to lead) and functional communication. The general education teacher also completed the Barkley, and her responses indicated that Student did not demonstrate inattentive, hyperactive/ impulsive, oppositional or defiant behaviors to a significant degree. Student’s teacher reported that Student has good peer relations, good behavior in the classroom and on the playground and adequate task organization skills, but demonstrated difficulty concentrating and needed improvement in independent work habits and task completion. Student also completed the BASC-II, and reported having lots of friends and playing sports, but that he disliked getting up for school and writing. Parents reported on the BASC-II that Student has normal social skills, but tantrums when he does not get his way and can’t sit still, and they worried that he was not achieving academically at the level of his peers. Mother completed the BASC-II, and rated Student at-risk for hyperactivity, withdrawal, attention problems and leadership, and clinically significant for atypicality, social skills, activities of daily living, and functional communication. Mother’s responses received a “caution” score on the BASC-II’s consistency index, indicating random responses that might be invalid. Mother’s Barkley responses were consistent with responses by Student’s teacher, and indicated that Student did not have behaviors associated with ADHD. Ms. Copeland Weiss concluded that Student displayed adequate social emotional functioning, although he should be monitored for social skills, leadership and functional communication. 14. Student, as an English language learner, was at an “intermediate” English language development (ELD) level at the time of assessment. Ms. Copeland Weiss noted that Student followed directions with prompting and assistance, was able to express his needs, spoke in simple sentences, and used a basic level of vocabulary in the classroom. 15. In the area of fine and gross motor skills, Ms. Copeland Weiss observed that Student demonstrated age appropriate fine and gross motor skills, and Student’s teacher reported that his motor skills were adequate. 16. In a health evaluation of Student by the school nurse, also included in Ms. Copeland Weiss’ report, Student passed the vision screening and was found to be independent in activities of daily living. The report also noted that a physical exam of Student by a private physician in August 2010 had normal results, and that although the District had attempted audiological testing, a build-up of wax in Student’s ears prevented testing until a physician could remove the blockage, and Student had not returned to the District’s audiologist. 17. Ms. Copeland Weiss concluded that Student had a severe discrepancy between his cognitive ability and achievement in the area of reading comprehension, with weakness in cognitive expression, association and conceptualization, and met the eligibility criteria for SLD. She noted that Student’s history of multiple school enrollments and poor attendance could not be ruled out as having negatively impacted his educational performance. She recommended a variety of educational supports typically found in a small SLD special day class (SLD/SDC), such as a high adult to student ratio, presentation of material in small steps, daily review of material taught, a structured environment and use of instructional strategies appropriate for an English language learner. 18. Ms. Copeland Weiss testified in detail about her observations of Student, the results of the formal testing she conducted, the information she had gathered from District staff, and how this information supported the conclusions in her report. Ms. Copeland Weiss is an experienced school psychologist, appeared knowledgeable and sincere in her testimony, and testified persuasively that she had obtained a comprehensive understanding of Student’s abilities, academic achievement and functional performance. Her testimony regarding Student’s abilities, academic achievement and functional performance was given great weight. 19. Also in preparation for Student’s triennial IEP, District speech-language pathologist Lea Varias-Wong completed a comprehensive re-evaluation of Student to determine whether Student continued to qualify for special education as a student with SLI. 20. Ms. Varias-Wong earned a bachelor’s degree in speech and language pathology and audiology in 2000, and a master’s of science in speech and language pathology in 2002. She possesses a California credential in speech and language pathology. Ms. Varias-Wong has worked as a speech pathologist in elementary school settings for the past seven years, and has been employed by the District as a speech-language pathologist (speech pathologist) for the last three years. Her job duties include facilitating improved communication skills, screening for potential language and speech impairments, consulting with teachers, assessing and evaluating students, developing LAS therapies, observing students in the classroom, and providing LAS services in a variety of different ways (push-in, pull-out, individual, small group). She has conducted approximately 200 LAS assessments and attended as many IEP team meetings. Ms. Varias-Wong was Student’s speech therapist at Ann Elementary from September 2010 through December 2010. In November 2010, she was knowledgeable concerning Student’s known and suspected disabilities, qualified to perform the assessments conducted, and was able to give special attention to the student’s unique educational needs when conducting the assessment. 21. In preparation for her assessment of Student, Ms. Varias-Wong looked at Student’s scores on the California English Language Development Test (CELDT), his academic history, teacher reports, and prior assessments. She also spoke to Student’s general education teacher and observed Student twice in the classroom. Student had a history of meeting his language goals, and his LAS services had been reduced to 30 minutes per month in the IEP of January 21, 2010. As of the fall of 2010, Student’s current teacher reported that Student was starting to fall behind academically, and to have difficulty with auditory comprehension and oral language expression. Ms. Varias-Wong observed that Student was able to recall past events, answer questions, and express daily wants and needs, and to follow simple teacher directions, sometimes requiring repetition of commands. He watched and imitated peer actions to follow classroom directions and routines, and engaged in appropriate verbal interactions with peers, although Ms. Varias-Wong concluded that the length and appropriateness of Student’s responses to peer and teacher questions were often too brief. 22. Ms. Varias-Wong administered the Oral and Written Language Scales (OWLS), on which Student demonstrated a deficit in both receptive and expressive language. She also administered the Expressive One-Word Picture Vocabulary Test (EOWPVT) to Student to give an indication of the extent of his English speaking vocabulary, and his score demonstrated an expressive language vocabulary deficit. She attempted to administer the Spanish-Bilingual edition of the EOWPVT to assess Student’s Spanish vocabulary, but Student responded in English. Student had inappropriate word order in his sentence patterns, such as “Today I went to the party of my friend’s birthday,” and frequently asked for help with descriptive words. She chose these assessment instruments used to elicit information on Student’s speech and language abilities and needs, and to determine whether Student required special education with LAS services. Ms. Varias-Wong found that Student’s language skills were not meeting grade level requirements. 23. Ms. Varias-Wong reported that Student was able to answer questions appropriately, give and follow directions, and communicate using mostly phrases and simple sentences, and was 100 percent intelligible. However, his expressive vocabulary, receptive and expressive language abilities were below normal limits for him to access and participate fully in the general education curriculum. She found him to meet the eligibility criteria for special education under the category of SLI, and recommended LAS services. 24. At hearing, Ms. Varias-Wong testified persuasively concerning her observations of Student both during therapy and in the general education classroom, the formal testing she had conducted, and how the information that was gathered from records and District staff supported the conclusions in her language assessment. Ms. Varias-Wong is an experienced school speech pathologist, appeared knowledgeable and sincere in her testimony, and testified persuasively that she had obtained a comprehensive understanding of Student’s language abilities. Her testimony regarding Student’s language abilities, and his language needs in the school setting, were given great weight. 25. In Ms. Varias-Wong’s opinion, Student did not need, and would not benefit from, assistive technology or other communication devices. She explained that assistive technology such as voice output devices or picture communication devices could assist a pupil in communicating wants and needs, but that Student was completely verbal, and could make his wants and needs known using oral language and was interacting with peers appropriately. 26. The District held an IEP team meeting on December 7, 2010, at which Parents were present. 27. Prior to the December meeting, Ms. Copeland Weiss reviewed her report and recommendations with school psychologist Barbara Keyser, who presented the triennial psychoeducational assessment report to the December 7, 2010 IEP team. Ms. Keyser relayed the finding that Student qualified for special education services in the category of SLD, as well as Ms. Copeland Weiss’ recommendation that Student be educated in a small, structured environment where information could be presented in small steps, using multiple presentation modalities, with daily review of material, and use of frequent feedback, praise and encouragement. A copy of the triennial psychological assessment was provided to Parents. 28. Ms. Varias-Wong reviewed her language and speech assessment of Student with the IEP team, and her conclusions that Student met the eligibility criteria for a student with SLI and required 30 minutes per week of LAS services. She proposed a language goal that Student would produce sentences using grade level vocabulary related to the core curriculum and appropriate syntax (irregular verbs, past tense verbs, progressive verbs, prepositions, and pronouns) with 80 percent accuracy in four out of five trials with moderate cuing, which was adopted by the IEP team. Parents did not request further LAS assessment or assessment of Student in any other area of suspected disability. 29. 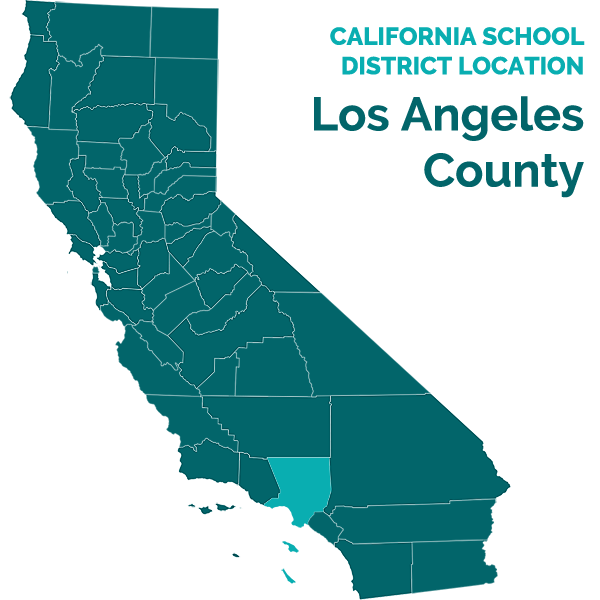 At the December 7, 2010 meeting, the IEP team found Student eligible for special education as a student with SLD, and offered placement at Glen Alta Elementary School (Glen Alta) in a general education curriculum SLD/SDC, with direct LAS services 30 minutes one time per week. Student was not offered RSP services because small group instruction and academic supports were included in the SLD/SDC program, which contained approximately six students, a credentialed teacher and a teacher’s assistant. The IEP contained goals in reading, prevocational/work habits, writing/ELD, math and language. Transportation was offered between Student’s home school and Glen Alta. Parents consented to the December 7, 2010 IEP. 30. After the IEP team meeting, Parents had Student assessed by clinical psychologist John Ayvazian, Ph.D., who did not appear or testify at the hearing, to determine if Student had ADHD or general anxiety that was impairing Student’s progress in school and social behavior. Dr. Ayvazian’s report, dated December 29, 2010, stated that Dr. Ayvazian relied exclusively on the statements of Mother and Father for (i) Student’s history of motor, language and adaptive behavior development, (ii) Student’s family, educational and environmental history, and (iii) Student’s “symptoms,” which included difficulties in problem solving, speech, language, math, dressing, finding his way around places where he has previously been, distractibility and maintaining attention, forgetfulness, inability to follow instructions, odd movements, rocking back and forth while watching television, unusual walk, balance problems, excessive fatigue, being shy and withdrawn, and acting without considering the consequences. Parents reported that they had not seen any sensory problems. 31. Dr. Ayvazian’s report indicated under “Mental Status Examination” that Student demonstrated a fair fund of knowledge, fair concentration and attention span, memory that could not be assessed without formal testing, good mood and affect, friendly but shy attitude and behavior, and that Student “might be in the mentally retarded range of intellectual functioning” which could not be confirmed without formal testing. The report concluded that Student does not interact in an age-appropriate level, and had unsophisticated speech in terms of ideas and interaction. Dr. Ayvazian provisionally diagnosed Student with mild mental retardation and autism “per history.” In his report, Dr. Ayvazian declined to make firm diagnoses or recommendations regarding Student’s educational program until and unless he had an opportunity to review Student’s IEP. 32. On March 3, 2011, Parents took Student for a psychological evaluation by Larry E. Gaines, Ph.D., who did not attend or testify at the hearing. Dr. Gaines’ report stated that the evaluation was specifically limited to assessment of developmental disabilities, including mental retardation and autism, and was based upon an interview with Parents, a review of Dr. Ayvazian’s report, and administration of the Wechsler Intelligence Scale for Children – IV (WISC), the Beery-Buktenica Developmental test of Visual-Motor Integration (Beery VMI), the Autism Diagnostic Observation Scale Module 3 (ADOS) and the Vineland Adaptive Behavior Scale Second Edition (VABS). 33. Without explanation for the discrepancy, Dr. Gaines’ report listed WISC scores on its last page, but discussed results from administration of the Leiter International Performance Scale – Revised (LIPS) in the body of the report. 2 Dr. Gaines reported that, on the LIPS, Student had scored in the low-borderline to mild range of mental deficiency, with strength in abstract, associational thinking. Student’s language skills on the VABS fell within the mild range of deficiency, because although he could talk in sentences, engage in conversation and describe his point of view, Parents reported that Student was forgetful, had trouble describing experiences, and was sometimes off-topic, which the report concluded was consistent with delays in cognitive functioning. Student’s social skills fell in the “mild range of performance” on the VABS, and the report attributed Student’s reported distraction and agitation when he does not know how to do his school work as suggesting learning difficulties rather than ADHD. Student’s visual motor and perceptual skills were reported in the low-average range on the Beery VMI. On the ADOS, Student engaged in basic conversation with coordinated gesture and eye contact, and although the content “did not reflect a lot of sophistication,” the report ruled out Autistic Disorder. Dr. Gaines diagnosed Student with mild mental retardation, and concluded that Student was functioning in the lowborderline to mild range of mental deficiency. Dr. Gaines recommended that Student participate in a special education program, would benefit from behavioral support “as needed,” and would benefit from eventual transition to life skills training. 34. On or about April 2011, Parents provided copies of the privately obtained reports by Dr. Ayvazian and Dr. Gaines to the District. The District’s school psychologist, Seble Gebremedhin, reviewed the reports and an IEP team meeting was scheduled for May 2, 2011 to re-evaluate Student’s IEP in light of the new information. Parents also complained to the District that Student was being excessively punished in the SLD/SDC for lack of attention to task and lack of participation, and District scheduled the IEP team to also consider the creation and implementation of a behavior support plan (BSP). 2School psychologist Seble Gebremedhin testified that she had not seen the last page of Dr. Gaines’ report, with the list of WISC scores, prior to the hearing. However, she testified that the new score information did not change her opinion of the report, as the WISC scores were not analyzed in the body of the report, and no scores were provided for the LIPS results upon which Dr. Gaines’ conclusions were based. Whether Parents failed to provide the last page of the report to the District, or the District misplaced it, is irrelevant in light of Ms. Gebremedhin’s testimony that the inclusion of WISC scores in the report adds no support to the discussion of the LIPS results and fails to clarify which of the tests were used or if any of the results were reported in error. 35. Ms. Gebremedhin has a bachelor’s degree in psychology and a master’s degree in counseling and school psychology, and holds a pupil personnel services credential in school psychology. She has been employed by the District as a school psychologist for 17 years, and has performed over 1,000 assessments, and attended over 1,000 IEP team meetings, for students with a wide range of disabilities, including autism, mental retardation, and specific learning disabilities among others. In addition to assessments and IEP participation, her duties as a school psychologist included: counseling; individual and small group counseling on grief, stress management and behaviors; and performing functional behavior analyses and developing BSP’s for students with behavioral issues. 36. Ms. Gebremedhin reviewed the two privately obtained psychological reports, as well as Ms. Copeland Weiss’ triennial psychological report from November 2010. Ms. Gebremedhin also spoke with Ms. Copeland Weiss and the RSP teacher who had conducted the academic testing for Student’s triennial IEP. 37. Ms. Gebremedhin noted that Dr. Ayvazian’s report was based exclusively on Parents’ anecdotal report of Student’s abilities and an informal observation of Student in a clinic setting. Dr. Ayvazian did not observe Student in the school setting, did not conduct any standardized testing, and did not review any of Student’s educational records. It was Ms. Gebremedhin’s opinion that Dr. Ayvazian’s suspicion that Student was mentally retarded was insufficiently supported. 38. Ms. Gebremedhin noted that, similarly, Dr. Gaines had failed to conduct a school observation, and although he used test instruments based upon adult questionnaires, he obtained responses only from Parents, and not District staff. Dr. Gaines did not have Student’s educational records, and his report failed to address Student’s history of school changes and absences or their potential impact on Student’s academic progress. Dr. Gaines’ report on cognitive function was internally contradictory, stating that Dr. Gaines had administered the WISC, but discussing results of a LIPS, rendering it impossible for Ms. Gebremedhin to know what test or tests had been used or to interpret the results. 40. Ms. Gebremedhin developed a behavior goal to address the concerns of Student’s teacher and Parents, that Student “will remain seated, focused and attend to task during teacher directed lessons, small group and/or independent study time in three out of four trials with 75% accuracy as measured by the teacher(s),” with incremental objectives that provided for fading out of teacher verbal and non-verbal cues. She then developed a BSP to address off-task behavior, lack of attention, and failure to complete work over a range of tasks from easy to difficult, as well as disrespectful conduct. The BSP provided positive behavior interventions for the teacher to use to help Student stay on task, such as saying “5 more minutes” as a reminder of an upcoming transitions and using gestures to communicate with Student rather than verbal reprimands. The proposed BSP noted that Student would become confrontational when a task was difficult, and provided strategies to replace problem behaviors with appropriate peer and adult interaction and positive reinforcement designed to help Student complete tasks, reduce inappropriate behaviors, and be successful in the classroom. 41. Ms. Gebremedhin met with Parents prior to the May IEP team meeting. Ms. Gebremedhin expressed a number of concerns regarding the private reports and told Parents that, in her opinion, the reports did not establish that Student was mentally retarded or had autism, and did not warrant a change in Student’s eligibility or educational services. She also went over her proposed BSP with Parents. 42. An IEP team meeting was held on May 2, 2011. Parents attended. Ms. Gebremedhin discussed both private psychological reports, and opined that those reports were fundamentally flawed and failed to provide reliable information on Student’s cognitive abilities or the impacts of his disability on his access to the general education curriculum. She told the team that the District’s triennial psychological assessment had been comprehensive, was less than six months old, and that the results of the District’s assessment were still valid and supported Student’s placement in a general education SLD/SDC classroom. Parents disagreed, and told the IEP team that they believed the two private reports showed that Student was unable to work at grade level. In light of the lack of support for the private reports’ conclusions, the reports’ failure to address Student’s academic achievement or functional behavior in the school setting, and the current information available to the IEP team, the team decided that no new psychoeducational assessment was necessary to determine Student’s disability or the services required to address Student’s unique educational needs. 43. The May 2, 2011 IEP team, discussed Ms. Gebremedhin’s presentation of the reports by Drs. Ayvazian and Gaines, her recommendation against a change in eligibility from SLD, placement or educational services based upon those reports, her proposed behavior goal and BSP, and Parents’ concerns. In reliance upon the information available to the team and Ms. Gebremedhin’s analysis and opinions, no changes were made to Student’s program or services except for adoption of the behavior goal and the BSP. Although Parents disagreed with Ms. Gebremedhin regarding Student’s eligibility, they consented to the May 2, 2011 IEP. 44. After the May 2, 2011 IEP team meeting, the District discovered that it had not documented the discussion of the Ayvazian and Gaines reports in the IEP, and scheduled a June 2, 2011 IEP meeting to re-review and document discussion of those reports. In addition, the speech therapist at Glen Alta, Maria Clark, reported that Student had already met the language goal in his December 7, 2010 IEP, and the District arranged to develop a new language goal or goals at the June 2, 2011 meeting as well. Student had missed several sessions of LAS services before Ms. Clark replaced a speech therapist on maternity leave, and the June IEP team was charged with calculating compensatory LAS services owed. 45. The BSP was implemented pursuant to the May 2, 2011 IEP, but Parents complained shortly thereafter that Student was still being unduly punished in his SLD/SDC classroom for lack of participation and off-task behavior, which Parents again attributed to Student’s inability to do the work. The District assigned Glen Alta’s assistant principal and elementary instruction specialist, Elena Reynoso, who had been present at the May IEP team meeting, to update Student’s present levels of performance (PLOP’s) for the June IEP team meeting, and to investigate the Parents’ complaints. 46. Ms. Reynoso has bachelor’s degrees in bilingual education and general education, a master’s in administration, and credentials in administration, bilingual education and special education. She was an elementary school teacher from 1983 through 2000, as well as a bilingual education coordinator. She has been an elementary school assistant principal and elementary instruction specialist with LAUSD since 2000, and in that position participates in student study teams and IEP’s to develop strategies and interventions to address at-risk behavior. She has attended over 1,500 IEP’s during her career, many of them concerning SLD students. 47. To prepare Student’s PLOP’s, Ms. Reynoso observed Student in the SLD/SDC classroom, reviewed previous assessments, reviewed California standardized testing and informal teacher reports, and spoke with Student’s SLD/SDC teacher, Ms. Lizarde. Student was reading with fluency, but having trouble with comprehension at his grade level. In math, Student lacked number sense skills to solve word problems, although he had memorized multiplication tables and had achieved average scores in broad mathematics and calculations. In the area of prevocational/work study habits, she observed that Student had some difficulty staying focused and finishing tasks, and needed frequent prompting from his teacher. Student also had difficulty expressing himself, and was beginning to demonstrate disrespect for peers and adults and an unwillingness to complete assignments. Student had not met his writing benchmarks, and although he had some grade level skills in written expression, brief writing and organizing his ideas into paragraphs, he still required a lot of prompting and writing support. Ms. Lizarde reported that Student was making progress on his academic goals, although he continued to need her personal attention and the teaching strategies of a small SLD/SDC classroom. 48. Ms. Reynoso has almost 20 years of experience as an elementary school teacher, with 15 of those years in special education. She testified knowledgeably and persuasively regarding Student’s academic and prevocational/work study needs as gleaned from her records review, observations of Student, interview with his SLD/SDC teacher and Parents’ stated concerns at the IEP team meetings she attended, and her testimony was given great weight. 49. Ms. Reynoso also worked with Ms. Gebremedhin to refine Student’s goals in prevocational/work habits and behavior. In light of Student’s upcoming transition to sixth grade, and possibly a middle school environment, Ms. Reynoso and Ms. Gebremedhin worked with Stavroula Matkovic, District’s least restrictive environment (LRE) specialist, to prepare for the June 2, 2011 IEP team meeting with proposed placements for Student and behavioral services to support that transition. 50. Ms. Matkovic obtained her bachelor’s degree in psychology in 1979, and a master’s degree in administration in 2008. She has California credentials in multiple subjects, severely handicapped (moderate severe), learning handicapped (mild moderate) and administration, and a resource certificate. She has worked for LAUSD for over 30 years, in programs from preschool to high school, and prior to becoming an LRE specialist two years ago, was a program specialist responsible for placing students in correct programs, knowing both alternate and core curriculums, visiting school sites to become familiar with programs and classrooms, and providing professional development to teachers. As an LRE specialist, Ms. Matkovic is responsible for “bridging the gap” between general education and special education to make sure that students are educated in the LRE. Depending on their individual needs, she opens and closes special education classes, oversees compliance with special education requirements, follows up on parent complaints, and participates in informal dispute resolution. Ms. Reynoso had originally recommended the SLD/SDC class at Glen Alta to Student’s December 2010 IEP team, and had met with Parents and observed Student in his classroom several times between April and June 2011 in response to Parents’ complaints that Student was being unduly punished by his SLD/SDC teacher. 51. Prior to the June 2, 2011 IEP team meeting, Ms. Matkovic was familiar with the sixth grade SLD/SDC programs at both Glen Alta and El Sereno Middle School (El Sereno). Glen Alta had an SLD/SDC classroom for sixth grade students, which was unusual for an elementary school, but Ms. Matkovic was comfortable recommending either the elementary SLD/SDC at Glen Alta or the middle school SLD/SDC at El Sereno for Student, and arranged for Father to visit both classrooms. Father already had a daughter at El Sereno and liked the school, which was the family’s home middle school, and he expressed a preference for El Sereno to Ms. Matkovic. 52. Ms. Matkovic observed the Glen Alta SLD/SDC classroom twice. The first time, Student was not present, but the second time Student was there and Ms. Matkovic observed for about 3 hours (half a day). She met with Ms. Lizarde to discuss the proposed BSP, and formed an opinion that Student had not been doing his work in the general education classroom before he transferred to Ms. Lizarde’s small SLD/SDC class, which included six students, a teacher and an adult teaching assistant (a three to one student to adult ratio), and now that Student could not hide being off-task he had begun displaying behaviors to avoid class work. During her observation, Student was on-task and doing his work, both before and after recess, and was fairly well behaved. She noted that Student answered questions and did what was asked by the teacher, and saw that Ms. Lizarde and her classroom assistant re-directed, prompted, and provided positive reinforcement to Student in accordance with the BSP. Another specialist sent to observe Student in his classroom reported that Student was disrespectful to his teacher, which disrespectful behavior was not seen by Ms. Matkovic. Ms. Lizarde reported to Ms. Matkovic that Student was very capable. Ms. Matkovic observed that Student was a large boy with a more mature attitude and demeanor than most elementary school students, and felt that Student could fit in well on a middle school campus with an appropriate program and access to typically developing peers. 53. Ms. Matkovic testified knowledgeably regarding the programs available to Student, and persuasively regarding Student’s behavioral needs, the appropriateness of the SLD/SDC classroom at El Sereno, the BSP, and the behavior support services offered. Ms. Matkovic had met many times with Parents, and had spoken with them over the telephone, and testified persuasively regarding the District’s awareness of Parents’ concerns and efforts to address those concerns with appropriate behavior support. Ms. Matkovic’s opinions were also consistent with those of Ms. Gebremedhin and Ms. Reynoso, and her testimony was given great weight. 54. In preparation for the June 2, 2011 IEP team meeting, Student’s new speech therapist, Maria Clark, prepared Student’s language PLOP’s and a proposed language goal. 55. Ms. Clark has a bachelor’s degree in communication disorders, and a master’s degree in speech pathology. She has a state license and a clinical rehabilitative credential in speech pathology, and has been a speech-language pathologist with the District for 18 years. Her duties as a speech and language pathologist include screening to determine if a child needs speech therapy, assessing for eligibility for LAS services, providing LAS therapy, collaborating with teachers to reinforce LAS therapy in the classroom and with parents to reinforce therapy in the home, and determining what LAS therapy is necessary to help students to access the curriculum in an academic setting. 56. Ms. Clark spoke with Ms. Lizarde regarding Student’s academic needs, reviewed Student’s previous LAS and psychological assessments, reviewed Student’s previous IEP, reviewed Student’s LAS service logs and relied upon her own sessions with Student in reporting Student’s language PLOP’s and determining Student’s language needs. Ms. Clark determined that Student lacked sufficient expressive vocabulary, but that his vocabulary was consistent with his ELD level. Student’s grammatical errors were to be expected in an English language learner, but she noted that these errors caused Student frustration and made it difficult for him to respond to more complex questions. Ms. Clark noted that Student had met his prior language goal, to produce sentences using grade level vocabulary related to core curriculum and appropriate syntax with moderate cuing, but was concerned that Student’s grammatical errors and poor vocabulary significantly affected the flow of conversational speech and impacted his ability to participate in oral language classroom activities. Ms. Clark prepared a draft goal that Student would use complete and correct sentences when responding to a variety of WH questions [who, what, when, where, why] with 80 percent accuracy four out of five times. She also drafted two objectives, with Student first (i) meeting his prior annual goal with minimal, rather than moderate, cuing, and then (ii) meeting the proposed goal with moderate cuing until mastery. The prior goal had focused on Student’s ability to speak correctly, that is, on correctly placing nouns and verbs in sentences and increasing vocabulary, but her proposed goal shifted the focus to Student’s need for comprehension of language. She did not believe that Student required assistive technology to communicate, as he was verbal and interacted with his classmates. 57. Ms. Clark testified knowledgeably and persuasively concerning Student’s language abilities and language needs in June 2011. Her testimony concerning Student’s language abilities and needs was given great weight. 58. An IEP team meeting was held on June 2, 2011. The meeting was attended by Glen Alta principal Thomas Kaminski, Glen Alta assistant principal and instructional specialist Elena Reynoso, Student’s SLD/SDC teacher Mary Lizarde, SL pathologist Maria Clark, LRE specialist Stavroula Matkovic, RSP teacher Mary DeMaree, Parents, interpreter Yvette Sandoval, and Regional Center representative Ann Bonilla. 59. Ms. Reynoso presented Student’s progress on his goals and updated academic PLOP’s. Parents were given an opportunity to voice their concerns regarding the PLOP’s, Student’s current academic goals, or the measurability of those goals, but did not voice any disagreement. Ms. Gebremedhin repeated her presentation of the privately obtained psychological evaluations from the May 2, 2011 IEP team meeting for discussion and documentation in the IEP notes. It was still her opinion that the District’s psychoeducational assessment of Student from November 2010 was valid, that the private assessments provided little or no information regarding Student’s educational needs, and that Student’s placement and services were appropriate. In reliance on her analysis and opinions, the June 2, 2011 IEP team found that Student continued to be eligible for special education as a student with SLD, and that no further psychological assessment was required, although a determination of Student’s placement and services for the 2011-2012 school year was deferred to a reconvened IEP team meeting, which was scheduled for June 15, 2011. 60. The meeting lasted for over one and a half hours, but was adjourned to reconvene on June 15, 2011, because the District had failed to provide Parents with a copy of the report of Student’s language PLOP’s, or a copy of the proposed language goal, prior to the meeting, and wanted Parents to have an opportunity to review the PLOP’s and proposed goal. The IEP team agreed that the issues to be discussed at the reconvened meeting would be (i) Student’s language PLOP’s and proposed language goal, (ii) placement for the 20112012 school year, and (iii) the addition of behavior intervention consultation for Student’s transition to middle school. 61. The IEP team meeting reconvened on June 15, 2011, with the same IEP team members from the June 2, 2011 meeting. Ms. Clark presented Student’s progress on his current language goal, his language PLOP’s and the proposed language goal, and recommended LAS services for 30 minutes per week as appropriate to allow Student to progress on the proposed language goal. She explained that the direct services delivery model called for pull out services and collaboration with the SLD/SDC teacher, providing Student with opportunities to practice LAS lessons in the classroom. She believed that because Student spoke in complete sentences, he did not need assistive technology to communicate. Parents were given an opportunity to voice concerns regarding the language PLOP’s, proposed language goal, measurability of the goal, and the amount of services or need for assistive technology, but did not express disagreement with any of the reports or recommendations. The IEP team adopted the proposed language goal and Ms. Clark’s recommendation of 30 minutes of individual LAS service one time per week. Ms. Clark opined at the hearing that 30 minutes of individual LAS service one time per week met Student’s language needs in June 2011. 62. Parents did not request another LAS assessment, and Ms. Clark opined at the hearing that the results of the December 2010 LAS assessment were still valid in June 2011, and that the IEP team had sufficient information to determine Student’s unique language needs without further assessment at that time. The IEP team reviewed the logs of Student’s LAS services, and determined that Student had missed two and a half hours of LAS services, which would be made up by June 24, 2011. The team considered, but found that Student did not require, assistive technology to communicate. Ms. Clark and Glen Alta principal, Mr. Kaminski, left the meeting after the language goals, LAS services and compensatory hours were determined. 63. The June 15, 2011 IEP team, also considered Student’s behavioral needs and placement for sixth grade. The behavior goal from the May 2, 2011 IEP was updated to provide that Student would remain seated for at least 20-30 minutes, and focus and attend to task during teacher directed lessons, small group or independent study time, three out of four trials with 75 percent accuracy as measured by the teacher(s). The goal included objectives of fading out verbal and non-verbal cues. Parents expressed their belief that Ms. Lizarde had unfair and unachievable expectations for their son. Ms. Gebremedhin, Ms. Reynoso and Ms. Matkovic presented the team with their investigations into Parents’ complaints, and unanimously opined that Student was capable of grade level work with the supports of an SLD/SDC classroom and was showing meaningful progress on his behavior goal since the BSP was implemented. Ms. Matkovic recommended that behavior intervention consultation be provided to Student’s middle school teacher or teachers, for 30 minutes per month, one to five times, between September 26 and December 9, 2011, if Student transitioned to El Sereno, to support Student in another school change and ensure that the BSP would be implemented effectively. 64. Ms. Matkovic also provided the IEP team with information on the sixth grade SLD/SDC classrooms at Glen Alta and the SLD/SDC classroom El Sereno. She opined that either program would be appropriate for Student. She recommended that if Student was offered placement at El Sereno, the IEP should include behavior intervention consultation to support Student’s transition to middle school, which involved another school change and multiple classrooms and teachers. Ms. Matkovic believed that a behavior intervention consultant would be able to knowledgeably instruct Student’s teachers on implementation of Student’s BSP, call an IEP team meeting if necessary to adjust the BSP, and arrange for additional behavior analysis if serious behaviors emerged. Ms. Matkovic told the IEP team that she had spoken to the District’s behavior support administrator and the specialist overseeing teachers, and that a behavior support consultant would be “ready to go” if the team offered Student placement at El Sereno. 65. The team considered a variety of placement options for Student, and determined that the SLD/SDC classroom at El Sereno would meet Student’s unique needs. The classroom was small, had a high adult to student ratio, and provided intensive educational instruction, including introduction of material in small batches, re-teaching concepts, and regular review of material. The team disagreed with Parents’ proposal to place Student in a mildly mentally retarded program in a non-public school (NPS), because the team felt that Student had a specific learning disability, not mental retardation, and that an NPS was too restrictive because Student would not have opportunities to be educated with typically developing peers. 66. The June 15, 2011 IEP team offered Student placement in an SLD/SDC class using general education curriculum at El Sereno, Student’s home middle school, for 924 minutes per week or 96 percent of Student’s school day, with LAS services for 30 minutes one time per week and behavior intervention consultation be provided to Student’s teacher or teachers, for 30 minutes per month, one to five times, between September 26 and December 9, 2011, in support of Student’s BSP. 67. The June 2, 2011 IEP, as finalized at the June 15, 2011 IEP team meeting, contained goals consistent with Student’s areas of need, in behavior support, prevocational/work habits, reading, writing/ELD, math, and language. A review of the goals shows that all goals were understandable, measurable and included short-term objectives. 68. On June 23, 2011, the June 2, 2011 IEP notes were updated to document, and Ms. Clark testified credibly, that Student had received the two and a half hours of compensatory LAS services as calculated at the June 15, 2011 IEP team meeting. 69. Parents did not consent to the June 2, 2011 IEP, as developed on June 2 and June 15, 2011. 2. In Issue 1(a), Parents contend that the District failed to adequately assess their son in preparation for the June 2, 2011 IEP. In support of this assertion, Parents presented evidence that between Student’s assessments for the triennial IEP on December 7, 2010 and the IEP of June 2, 2011, Parents had provided the District with two privately funded psychological assessments diagnosing Student as mildly mentally retarded or autistic, but that the District had failed to re-evaluate Student in light of the new information. Parents also submitted the triennial assessment plan to show that Student had been assessed in less areas than designated in the plan, as only psychological and language reports had been presented at the triennial IEP team meeting. District disagrees, contending Student was properly assessed in all areas of suspected disability, and that the private assessments did not invalidate or warrant a new psychological assessment prior to the June 2, 2011 IEP team meeting. 14. In Issue 1(b), Parents contend that the District misidentified Student’s present levels of performance (PLOP’s) at the June 2 and 15, 2011 IEP team meetings, because (i) Student’s speech pathologist had left on maternity leave in January 2011 and was unable to report on Student’s speech levels, and (ii) the District had failed to report that Student’s behaviors were escalating. The District contends that Student’s language skills and functional behavior were accurately documented in the IEP. 15. The IDEA requires that each IEP include a statement of the child’s present levels of academic achievement and functional performance, commonly referred to as “present levels of performance” (PLOP’s), including how the child’s disability affects the child’s involvement and progress in the general education curriculum. (20 U.S.C. § 1414(d)(1)(A), 34 C.F.R. § 300.320(a)(1).) A PLOP creates a baseline for designing educational programming and measuring a student’s future progress towards annual goals. 16. Legal Conclusions 1 and 3 through 13, above, are incorporated by reference. 21. In Issue 1(c), Parents contend that the June 2, 2011 IEP did not contain measurable annual goals designed to address the full range and extent of Student’s educational challenges. The District disagrees, contending that goals were developed for each of Student’s areas of need, and that each goal was discretely measurable. 23. Legal Conclusions 1, 3 through 9, 13, 15, and 18 through 20, above, are incorporated by reference. 27. At Issue 1(d), Parents contend that Student was offered insufficient behavioral support. The District contends that the behavior goals, BSP and the 30 minutes per month of behavior intervention consultation to Student’s teacher at El Sereno offered in the June 2, 2011 IEP appropriately addressed Student’s behavior needs. 28. Legal Conclusions 1, 3 through 9, 13, 18, 20, and 24 through 26, above, are incorporated by reference. 35. Parents contend in their due process request that Student requires a minimum of two hours of LAS services per week, delivered by a non-public agency (NPA). The District contends that the 30 minutes per week of direct LAS services by a District speech pathologist is sufficient to meet Student’s language needs. 36. Legal Conclusions 1, 3 through 9, 13, 19, 20, 24, 26 and 31, above, are incorporated by reference. 40. Parents contend in their due process request that Student requires access to assistive technology or “other necessary communication devices” as part of his educational program, but that the District failed to offer Student assistive technology services in the June 2, 2011 IEP. The District contends that Student is verbal, and does not require assistive technology to communicate. 41. Legal Conclusions 1, 3 through 9, 13, 19, 20, 24, 26 and 37, above, are incorporated by reference. 45. Parents contend that Student requires special education and related services for 50 weeks of the calendar year in order to avoid regression. The District contends that Student’s needs can be met during the regular school year. 46. Legal Conclusions 1, 3 through 9, 13, 19, 20, 24, 26, 37 and 39, above, are incorporated by reference. 48. Here, Parents’ request for 50 weeks of instruction per year is essentially a request for year-round services. Per N.B., Parents must show that year-round instructional days are necessary to permit Student to benefit from his education, that is, that the educational benefits accrued during the regular school year would be significantly jeopardized if Student were not provided with the additional weeks of instruction. However, Parents submitted no evidence that Student has suffered regression during breaks in previous school years or over the summer months. Pursuant to Education Code section 56507, subdivision (d), the hearing decision must indicate the extent to which each party has prevailed on each issue heard and decided. Here, the District prevailed on all issues.